Perfect for those who need quality nourishment to get them through a busy day! Day 2 of my Blueberry Chia Pudding experiment. Today is the Blended Blueberry Chia Pudding. This blended chia pudding has a fruit smoothie base and is therefore noticeably heavier than the unblended version from yesterday but I think that makes it perfect for those who need a little more in the mornings. I myself who only tend to like a juice or smoothie first thing found it extremely filling and couldn’t eat the whole thing, so saved the rest for my afternoon snack. My verdict so far is that I prefer the lighter Blueberry Chia Pudding, as I found the blended version a little too filling and would prefer to have a smoothie later in the day instead of combining it with my chia pudding but each were equally as yummy in there own ways. Tomorrow I will be combining the chia seeds with oats, I will keep you informed! 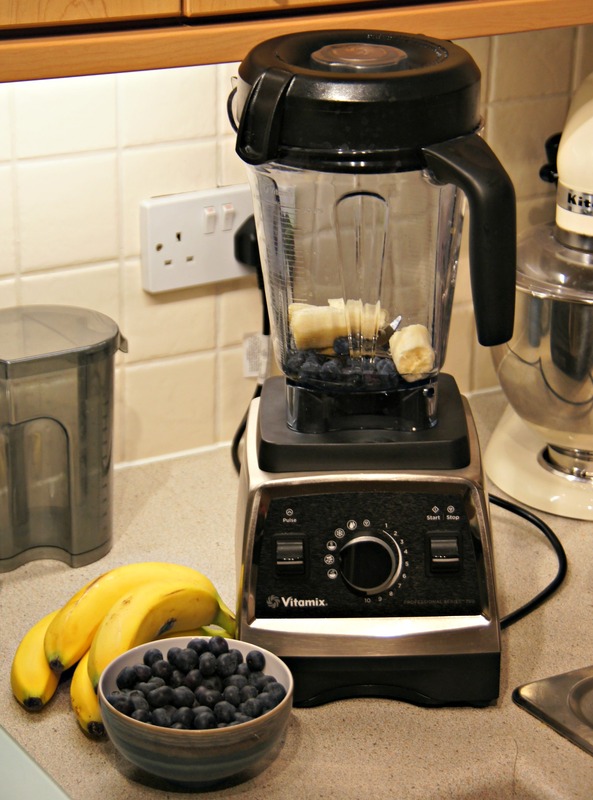 Place the blueberries, banana, honey and coconut water in a blender and blend until smooth. 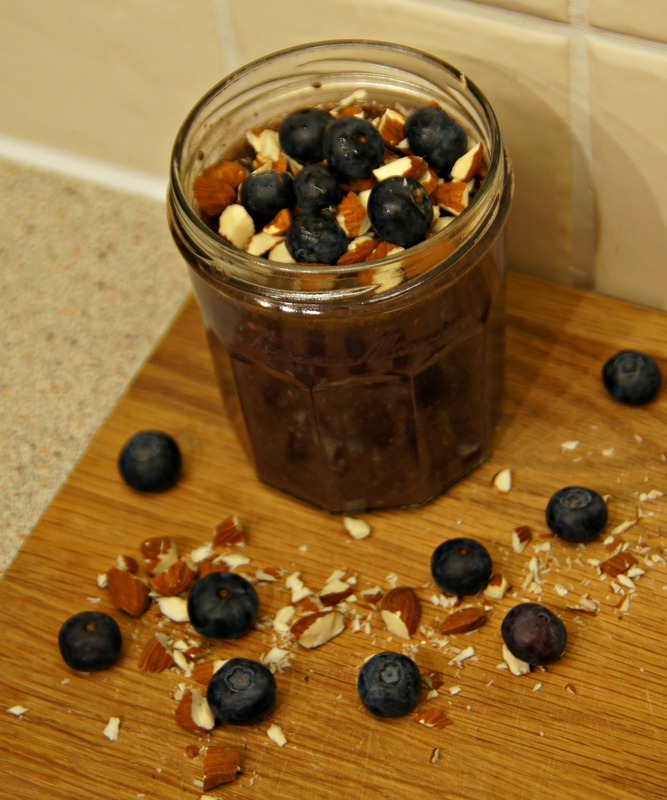 Place the chia seeds and blended fruit mixture into a jam jar or bowl, stir and pop in the fridge over night. 3. If you haven’t got chopped almonds, chop your almonds and set aside for the morning. 4. In the morning, remove from the fridge and place the chopped nights and a few more blueberries on top. 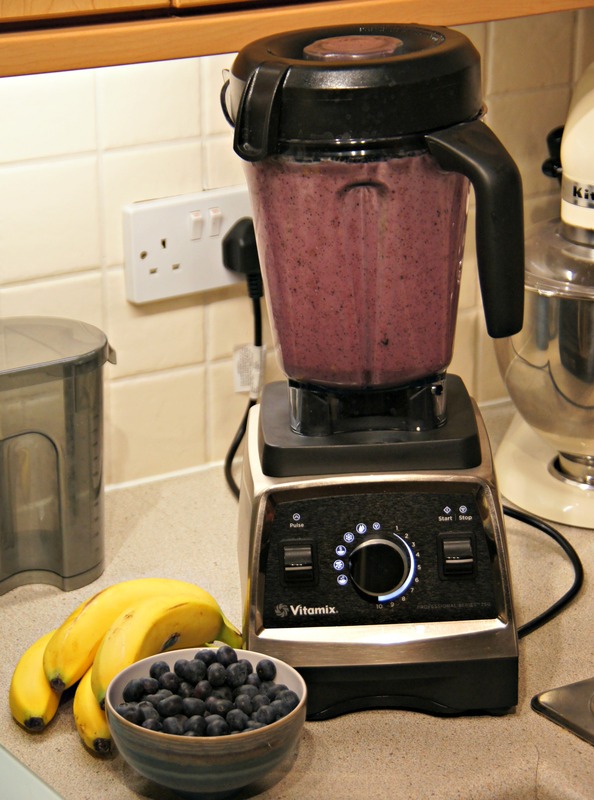 This entry was posted in Breakfast and tagged almond, banana, blueberry, coconut water, dairyfree, gluten-free, glutenfree, honey, shedding the wheat, smoothie, vegan, vegetarian, vitamix. Bookmark the permalink.